Home buyers today have an assortment of Jumbo financing options to meet every need. 20%, 15%, 10% all the way down to 5% down payment. 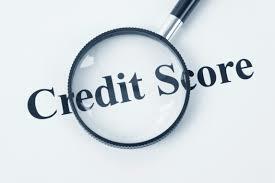 Below we will outline the Jumbo loan amount and credit score requirements along with all restrictions. Be sure to also read the Jumbo purchase FAQ’s here. 5% Down Payment Jumbo Loan – eligible buyers can finance up to 95% loan to value when the loan amount is below $2,000,000. 20% Down Payment Jumbo Loan – eligible buyers can finance up to 80% loan to value when the loan amount is below $3,750,000. Please contact us to learn more about Super Jumbo loans over $4.0mil. Please note the limits listed above are based on the final loan amount, not the home purchase price. Buyers that have questions can connect with us 7 days a week by calling the number above, or just fill out the Quick Call form on this page. Please note: All 95% Jumbo financing options are capped at $2,000,000 loan amounts. The loan limits are based on the final loan amount, not home sales price. No Monthly Private Mortgage Insurance (PMI) with all options. Single stand-alone 95% and 90% financing options are also available depending on the property state, loan amount and borrowers credit profile. 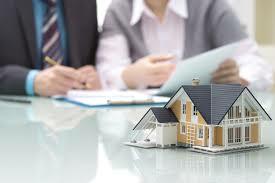 Many factors will be reviewed during the initial loan consultation to determine which loan structure is best for you. Depending on the state – homebuyers will have the option to do a piggyback loan that consists of a first mortgage (up to the conforming loan limit) plus a second “piggyback” loan for the difference. The 80-10 and 80-15 combo loans are a great way for homebuyers to avoid PMI and ensure they take advantage of the lower conventional loan interest rates. Example of a 95% piggyback combo loan structure: Susan has decided to purchase a home for $675,000 in Phoenix Arizona. She is interested in the 5% down loan option. In this scenario, Susan’s first mortgage amount would be $484,350 – the conforming loan limit for her county. Her second mortgage loan amount would be $156,900. The remaining difference of $33,750 (5%) would be her down payment. Example of a 90% piggyback combo loan structure: Jim has decided to purchase a home for $850,000 in Charlotte, NC. He is interested in the 10% down loan option. In this scenario, Jim’s first mortgage amount would be $484,350 – the conforming loan limit for his county. His second mortgage loan amount would be $280,650. The remaining difference of $85,000 (10%) would be his down payment. Please note that the standard conforming loan limits have recently increased from $453,100 up to $484,350. Certain high-cost locations are even greater at $726,525 – please see a list of the 2019 Conforming Loan Limits for each county in the U.S.
All of the program requirements listed above are reserved only for owner occupied or second home purchase transactions. Investment or rental homes will require a minimum of 20% down. All Jumbo programs will require full underwriting documentation in relation to the borrower’s income and assets. Please note, “stated” income or reduced income doc programs are not available. Self-employed borrowers are required to provide a min (2) years of tax returns. Home buyers should be prepared to show the required mortgage payment reserves. This is the amount of liquid and non-liquid assets after down payment and closing costs. The number (months) of payments reserves will depend on many factors like loan amount, down payment and credit score. Only single family homes, condos, and townhomes are eligible. Building a new home on your own lot is not permitted. However, if you are purchasing a home that is being sold directly from a new home builder (spec home) this IS eligible. Lot loans, land loans, commercial loans, mobile homes, manufactured homes are also not approved. 1-4 unit properties are eligible depending on loan amount. 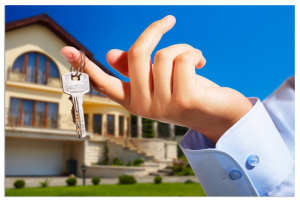 No short sales, foreclosure or bankruptcy in the previous 5 years – regardless of current credit score. Loan amounts at or below the county conforming loan limit can be approved up to 100% financing. Loan amounts that exceed the county limit will require a small down payment of 25% on the amount that exceeds the basic conforming loan limit. Read more down payment calculations and the complete VA Jumbo Guide here. Specialists are standing by to help with questions 7 days a week. Call us at 800-840-6449 or submit the Quick Call Form on this page. Our goal is to respond to all request within 10 minutes (if requested) during normal hours.